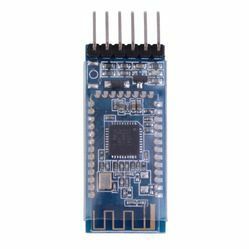 Description: HC-05 is a class-2 bluetooth module with Serial Port Profile, which can configure as either Master or slave. a Drop-in replacement for wired serial connections, transparent usage. You can use it simply for a serial port replacement to establish connection between MCU, PC to your embedded project and etc. Description: The Bluetooth Transreceiver HC-05 Breakout is the latest Bluetooth wireless serial cable! This version of the popular Bluetooth uses the HC-05/HC-06 module. These modems work as a serial (RX/TX) pipe. Any serial stream from 9600 to 115200bps can be passed seamlessly from your computer to your target. This Breakout Board is made using popular HC-06 Bluetooth Module. HC-06 works as a serial (RX/TX) pipe. 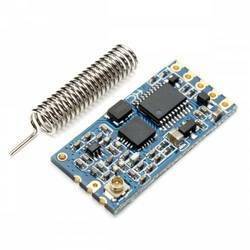 It can be used to seamlessly pass any serial stream from 9600 to 115200bps for machine to machine (M2M) communication between your computer or mobile device to your target device using this Breakout Board. HC-06 works as Slave Module only. HC-12 is a long-distance wireless transmission with the range of 1,000m in open space/baud rate 5,000bps in the air. 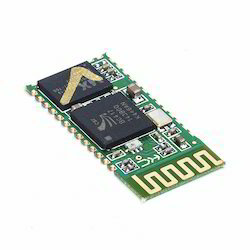 HM Bluetooth module use CSR BlueCore or TI CC2540, Master and slaveroles in one, transmission version and remote control version and PIO stateacquisition functions in one, Support the AT command modify moduleparameters, Convenient and flexible.Transmission version can be used to transmit data between two Bluetoothdevices. 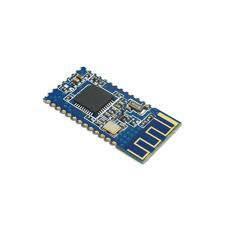 HM-10 is Bluetooth V4.0 BLE version. 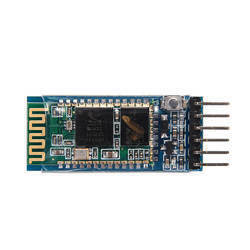 HM Bluetooth module use CSR BlueCore or TI CC2540, Master and slave roles in one, transmission version and remote control version and PIO state acquisition functions in one, Support the AT command modify module parameters, Convenient and flexible. Transmission version can be used to transmit data between two Bluetooth devices.Remote Control version can be used to Control PIO ports output high or low level without any other MCU. Bluetooth 4.0 use CSR BlueCore or TI CC2540, Master and slaveroles in one, transmission version and remote control version and PIO state acquisition functions in one, Support the AT command modify module parameters, Convenient and flexible.Transmission version can be used to transmit data between two Bluetooth devices. 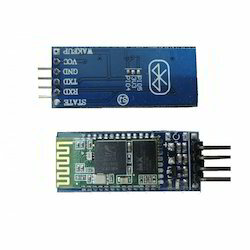 Looking for Bluetooth Module ?